I hadn’t actually seen Watching since it aired back in the late 80s/early 90s, but making my way through the first series on DVD, I was struck by how relevant it is to my own current interests and writing. 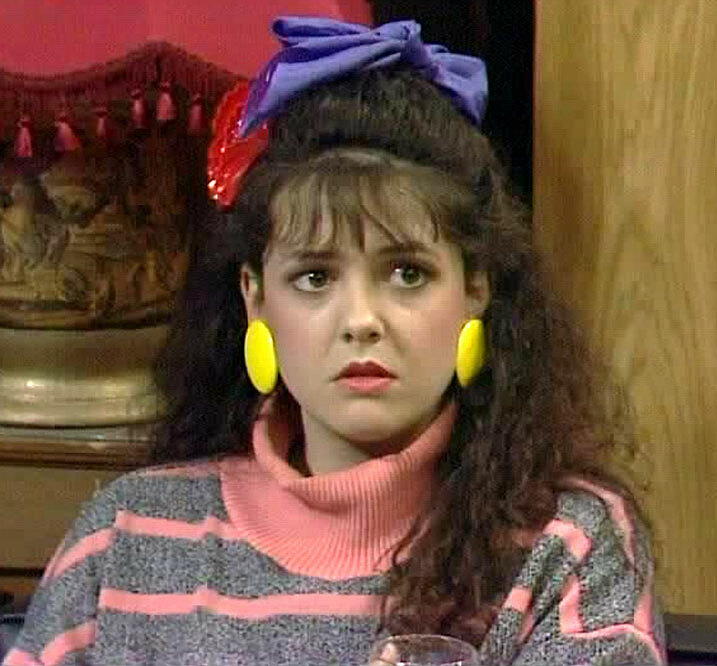 For those who don’t know, this post-watershed ITV sitcom starred Emma Wray as ‘Brenda Wilson’, a young Liverpudlian lass with a smart-mouth, and a habit of making up silly lies to amuse herself and confuse friends and enemies alike. 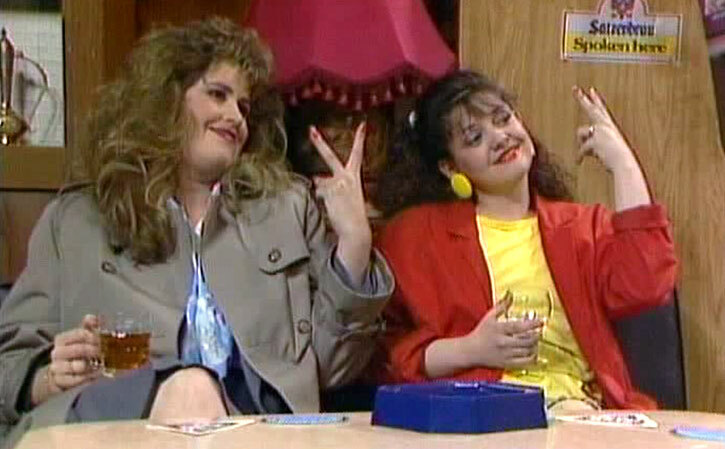 She lives with her older sister ‘Pamela’ (Liza Tarbuck), and seems quite happy to spend her evenings down the pub with “Our Pam”… until she begins a torturously protracted on/off relationship with ‘Malcolm Stoneway’ (Paul Bown), a wimpy birdwatcher from the posh side of town, who she mistakes for a “biker” when he wanders into their local wearing his leathers. Technically, he does indeed ride a motorcycle… but it’s an antiquated relic with a sidecar attached, which he uses to transport his hide when he goes out twitching. Understandably, Brenda is disappointed when she realises the truth about Malcolm, but as an inveterate gobshite her dating options are rather limited, so she eventually comes to appreciate his company. Apparently their star-crossed romance played out over 56 episodes, and a span of six years, drawing in audiences of over 17 million viewers… which is pretty impressive, considering the whole thing started off as a (rejected) sketch idea, that series creator Jim Hitchmough dreamt up for Not the Nine O’Clock News! 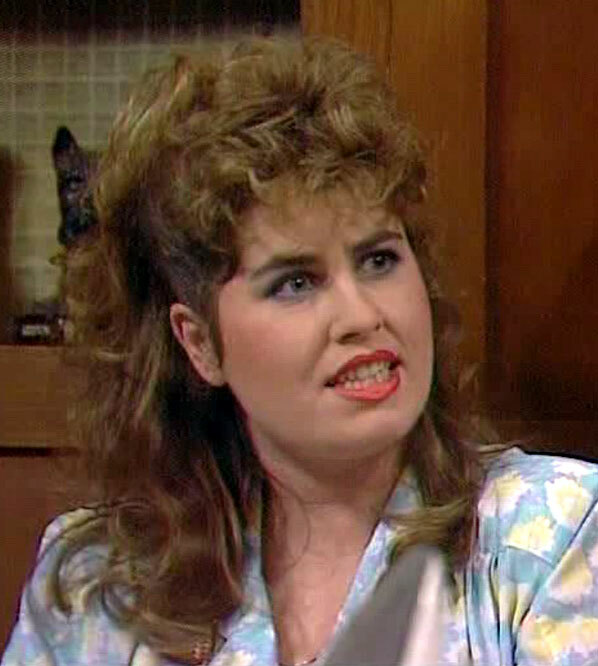 Oh, I should also mention that Malcolm’s Mum (aka ‘Mrs Marjorie Stoneway’) is played by Patsy Byrne… who is probably better known for her role as the simple-minded ‘Nursie’ in series two of Blackadder, but she does a very good study of suburban snobbery here. * The Xmas special ends with Malcolm doing an offensive impersonation of a “Chinese” man, which is frozen onscreen as the credits roll… and also pictured in a still on the back of the DVD case, for some godforsaken reason! This entry was posted in Rants about TV and tagged Emma Wray, Liza Tarbuck, Patsy Byrne, Watching. Bookmark the permalink. Interestingly, I had the ‘Watching theme song rattling around in my head all afternoon on Tuesday. Now, why would that be? It did have a great theme song… very catchy… although it does get a bit annoying when you try to watch all the episodes over a couple of days!